Night is when you look into other people’s kitchens. Down in a first floor apartment lightly set into the frozen ground someone holds a crescent clove of garlic to the fluorescent light. 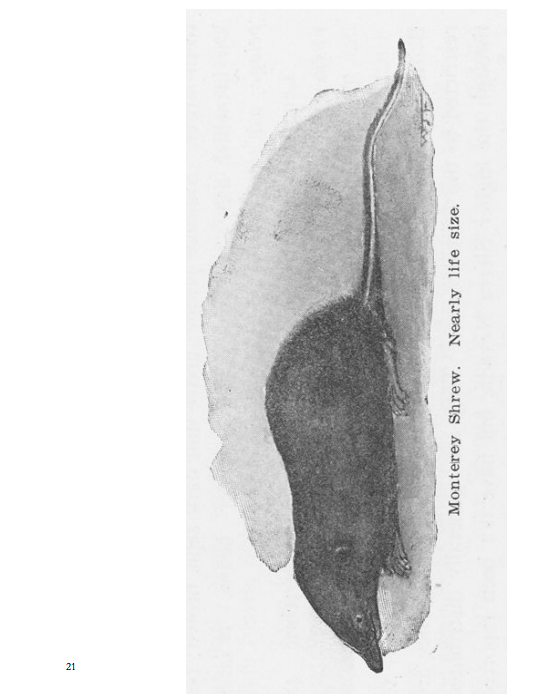 Wielding a knife, they slice its papery skin, away from them. It is a soundless gesture that I can’t hear but that looks to me like *snikt. *24 Is this the best way to cut a garlic? I don’t know, I’m no a garlic expert. But they learned this from someone: mama papa grandparent boo friend housemate. 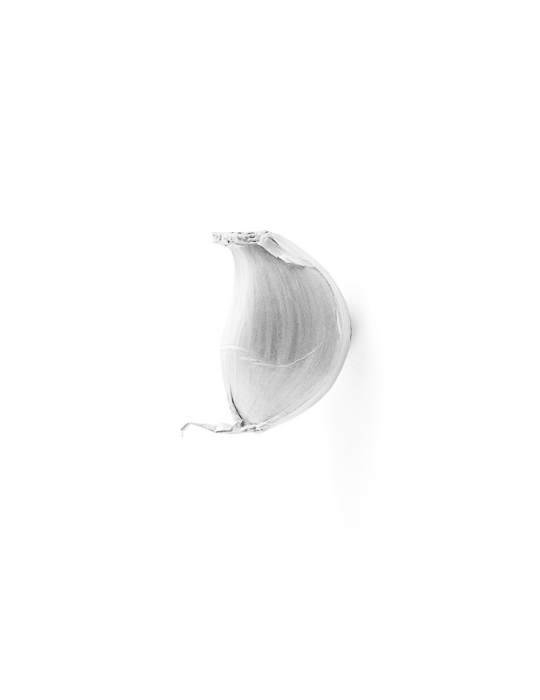 Garlic lineage. Here is how my dad taught me to cut a carrot: slice the top off slice the bottom off slice it in half (carefully carefully wiggle the knife so it doesn’t veer off to one side like a bowling ball into a gutter) slice the halves into halves, chop down the middle. Here is how my parents taught me to treat the patriarchy: with extreme suspicion. Publication Studio, a print-on-demand publisher that started in Portland makes handmade food and books side by side. Eating food, making sense of thoughts together. Barthes has a lovely bit about this parenthetically, he reminds: “(the French words for flavor and knowledge have the same Latin root).”28 Saveur and savoir: from our first kicking start, we come to understanding through the mouth. Gut sense: I know things in my stomach. 24 This is the official noise Wolverine’s claws make. 25 cheyanne turions, “A Table for Negotiation, Mediation, Discussion, Difference,” March 2014. https://cheyanneturions.wordpress.com/tag/maggie-groat/. 27 Leanne Simpson, Dancing on Our Turtle’s Back (Winnipeg: ARP, 2011), 106. 28 Roland Barthes, (1979) “Lecture in Inauguration of the Chair of Literary Semiology, Collège de France, January 7, 1977.” Trans. Richard Howard, October, 8 (Spring): 7. 29 Donna Harraway, The Companion Species Manifesto: Dogs, People, and Significant Otherness (Chicago: Prickly Paradigm, 2003), 15. Hysteria is a furious vine. For me (and for who else may I speak, truly?) it starts in my throat. It is trembling green. It is feral ululating excitement. Its tendrils reach, finding cracks in walls. Finding cracks in walls, it pushes into the concrete the way I used to cuddle up to my dad as a baby: tender skull head first and pushing. (His ribs bent under the force of my closeness.) Finding cracks in concrete walls. We use the word concrete to mean, to make permanent. Good work, we say, your idea is becoming more concrete, we say. As if we are setting clarified abstracts in stone. What concrete actually means is, to coalesce, to grow together. The patriarchy! Frowning and tutting and wagging, it hardens even our most organic metaphors. Hysteria is a wildness, a spinning dime that could fall with anxiety or exhilaration face-up: heads or tails. But the dime never falls, a perpetual emotion device. It is in our bright eyes, in our crackling fingertips, our connecting ideas, our making of metaphors. The root word of this vine (way way down, near sticky grey clay, almost at the water line) is husterikos. What it means is, of the womb. A man named Gary36 wrote about this in an article about the feminization of madness for The Guardian on international women’s day in 2012.37 (He has blue eyes and a tan and white white shiny teeth *ting* and this matters.) Why does a man named Gary have to weigh in? Gary, you didn’t get it quite right. Gary, it is not just about the feminization of madness. It is about the scything dismissal of madness and excitement and emotion and women in one swooping word. 36 Patricia Lockwood, “The Hunt for a Newborn Gary,” in Motherland Fatherland Homelandsexuals, (New York: Penguin, 2014) 20-22. 37 Gary Nunn, “The feminisation of madness is crazy,” The Guardian, 8 March 2012, accessed 30 November 2015, http://www.theguardian.com/media/mind-your-language/2012/mar/08/mindyour-language-feminisation-madness. Old tired horses are called nags. Nag is a persistent act of annoying or irritating or finding fault. What nag means is, gnaw. In this way it is onomatopoeic. Teeth (the back ones, most like) grinding, crushing, gnashing. It is incessant, it never goes away. (Just like the white supremacist heteropatriarchy, amirite?) But. This word has been deflected to try and silence tenacious women: shut up you old nag. The Feminist Art Gallery in Toronto took back this word for their angry letter writing campaign. NAG: challenging TIFF on their racist and misogynist list of “100 essential filmmakers of all time.”41 The importance. The importance of nagging, the killing of joy. The killjoy does not let it go. The killjoy does not laugh it off. Though the air around the table is scintillating and chaleureux she opens her mouth: calls out the dominator.42 Speaks her truth to power. Dayna McLeod, queer performance artist (whose presence makes one giddy, at least if one is me), talked about overhearing a sexist comment shared between two men at the cabaret bar about a burlesque performer: I wonder if she’s that hot up close. Then, she wants to say something. Later she says to me, “I become the PC police, I become the killjoy. There’s no responsibility taken, you think that because it’s this type of performance you’re given permission? You didn’t have to do that. You didn’t have to take it that far.”43 But Dayna takes that scene and positions it in a performance. Makes it hilarious, exposes how ridiculous it is. And in this alchemy the sexism is framed out, visible, tangible, laughable. Lead into gold. 42 Sara Ahmed, The Promise of Happiness (Durham: Duke, 2010). 43 Dayna McLeod, interview with Danica Evering, Concordia University, November 4, 2015. Food, Hysteria, and Nag are three entries from Are you thinking what I’m thinking?, a glossary toolkit of thoughts, terms, and thinkers for finding alternatives to patriarchies. 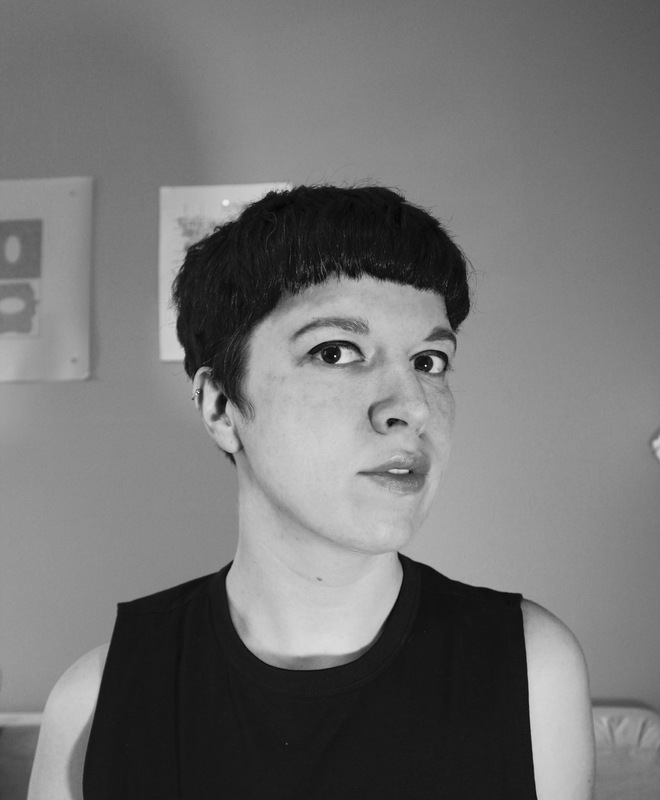 Danica Evering is an artist, researcher, and curator from Cobourg, Ontario. Her work wrestles with difficulty and belonging, reaching out intentionally, and complicating narratives. She holds an MA in Media Studies from Concordia University and works as the Education Officer at Humber Galleries. Her poetry and performance were included in Althea Thauberger’s experimental video work L’arbre est dans ses feuilles as part of In Search of Expo 67 at the Musée d’art contemporain de Montréal, and her text on artist Cheryl Sim and the archives of Mirabel Airport will appear in the next issue of Public. She is a founding member of Publication Studio Guelph’s editorial collective, a sibling studio of an international publishing network that attends to the social lives of books, and a board member of Kazoo!, a new music and art festival and year-round music series.